I had an disagreement with my husband the other day about how to pronounce “bruschetta”. It’s good to be the pronunciation queen. And today I am happy to pass on a recipe for low carb bruschetta. 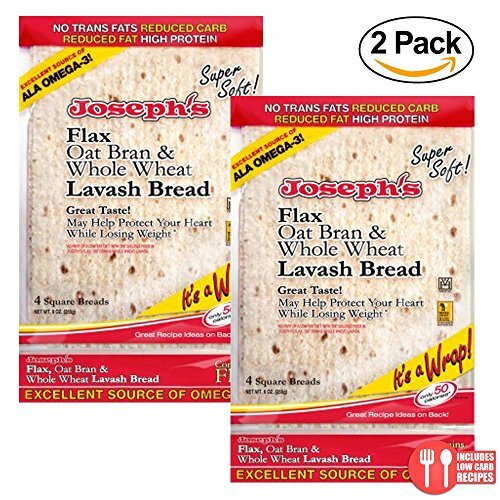 For this recipe, you’ll need to pick up some Joseph’s Lavash Bread. You can find it online on Amazon or in the bread section of Walmart. These low carb wraps make really good baked pita chips. That’s what we’ll use for the base of the bruschetta. Once you’ve got your pita chips, you’ll need to put together a tomato and basil mixture to top them with. First, you cook together garlic and olive oil to make a fragrant garlicky oil. Then you add in a little bit of balsamic vinegar, some chopped grape tomatoes, fresh basil, salt and pepper. Spoon the mixture over the pita chips and you’re done. You can enjoy your bru-SKE-ta. This low carb bruschetta recipe uses Joseph’s Lavash Bread to keep the carb count down to 4g net carbs. 2. Brush olive oil on both sides of a slice of Lavash Bread. 3. Cut the slice of Lavash Bread in half and then into quarters. Cut the quarters into 3 rectangular slices that are each 1 3/4″ x 4″ . 4. Bake for 4-5 until browned. Watch it closely because it will burn very easily. 5. Chop the tomatoes into small pieces and slice the basil into a chiffonade. Mince the garlic. 6. Heat the remaining olive oil in a small frying pan over medium-low heat. Add the garlic and cook until golden, about 1 minute. Do not let it brown too much. 7. Mix together the garlic oil, tomatoes, basil, and balsamic vinegar. Salt and pepper to taste. 8. Add a spoonful of the tomato mixture to each slice of toasted Lavash Bread. If you liked this Lavash Bread recipe, then you might like my recipe for Baba Ghanoush with Pita Chips. This was so good. I made it up for an office party and everybody loved it. I kept the topping and the pita chips separate until right before I served them so they wouldn’t get soggy. I’ll definitely make this again over the holidays. That’s a great note to the recipe. It’s a good reminder to add the tomato topping to the pita chips at the last minute.